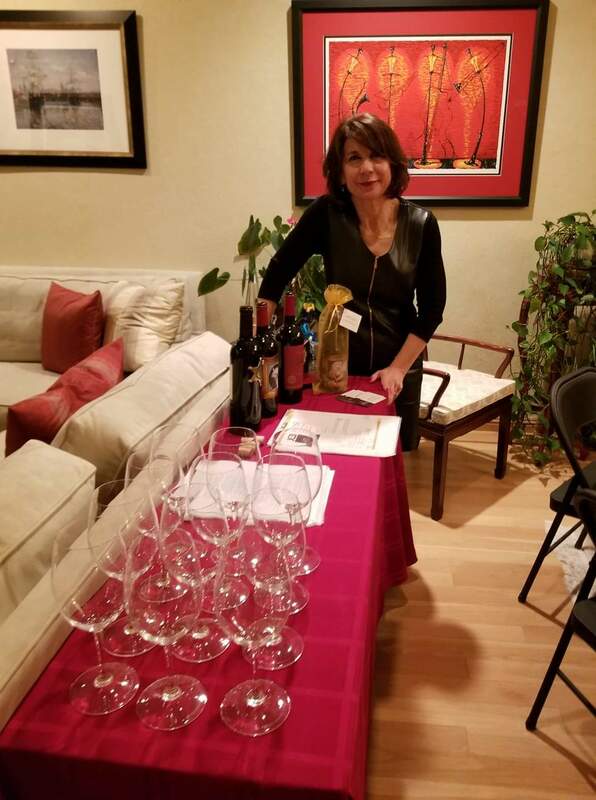 Long term wine connoisseur and a savvy businesswoman, Emmie creates an interesting and fun atmosphere at her wine tastings. She educates as well as entertains her audiences, talking about the history and the geography while throwing in little tidbits and fun facts to engage everyone. I had hosted 3 wine tastings at my home for Emmie and on all 3 occasions, I found her to be very friendly and knowledgeable. She answered questions, provided advice for food pairings and offered various options for purchasing and shipping. I highly recommend her services to anyone who is looking for a different way of hosting parties and get togethers at their homes and/or offices. Emmie combines her global knowledge and long-time experience of the wine industry together to offer a friendly and informative atmosphere at her wine tasting events. The informal, yet educative, approach is valuable for novices and for the more seasoned wine lovers. The overall result is a pleasant social, instructive and often entertaining event and an excellent way to introduce friends and colleagues to the finer points of wine. Highly recommended!